Cuban artist Zilia Sánchez (b. 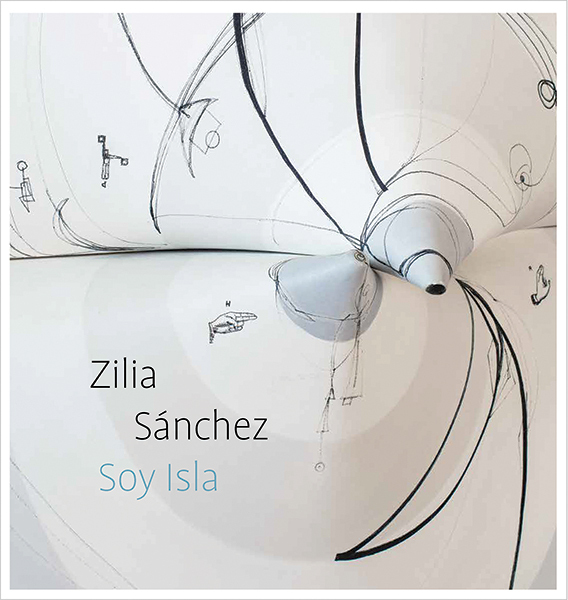 1926) often says, “Soy isla” (“I am an island”), expressing her desire for solitary, uncompromising practice. It also serves as a metaphor for her experience as an islander—connected to and disconnected from both the mainland and mainstream art currents, such as concretism, gestural abstraction, and minimalism. Characterized by reductive forms, clean lines, and sensuous curves suggestive of the female body, Sánchez’s work frequently references protagonists from ancient mythology and lunar motifs while embracing ambiguity. This groundbreaking volume examines her paintings, sculptures, works on paper, and graphic illustrations together with archival ephemera. It traces Sánchez’s artistic journey from her early years in Cuba through her travels in Europe and residence in New York in the 1960s to her move to Puerto Rico, where she still lives and works. With spectacular illustrations of more than 75 artworks, insightful essays situating Sánchez within the context of global modernism, and a conversation with the artist, this is the most comprehensive publication on Sánchez’s art to date. Vesela Sretenović is senior curator of modern and contemporary art at The Phillips Collection.